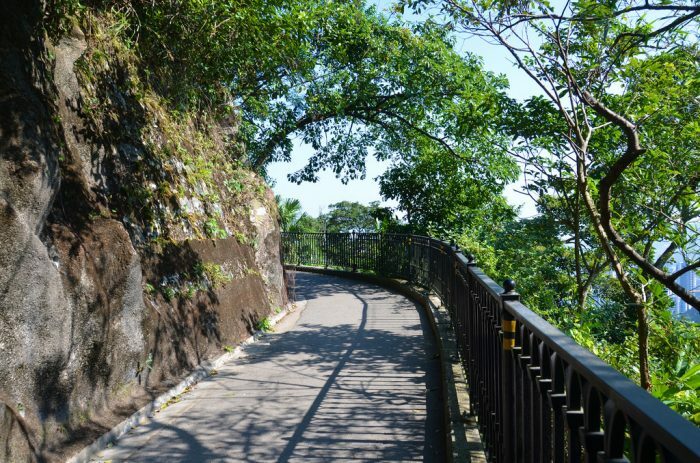 The Hong Kong Trail is a wonderful run/walk/hike trail that runs a total of 50 km, consisting of eight ‘sections”, from Victoria Peak to Tai Long Wan. The trail is well-signed, consisting of markers every 500m. The first two sections, totaling about 5 miles one-way, are the most suitable for runners, being closer to development and partially paved. Some sections are more rugged and remote. 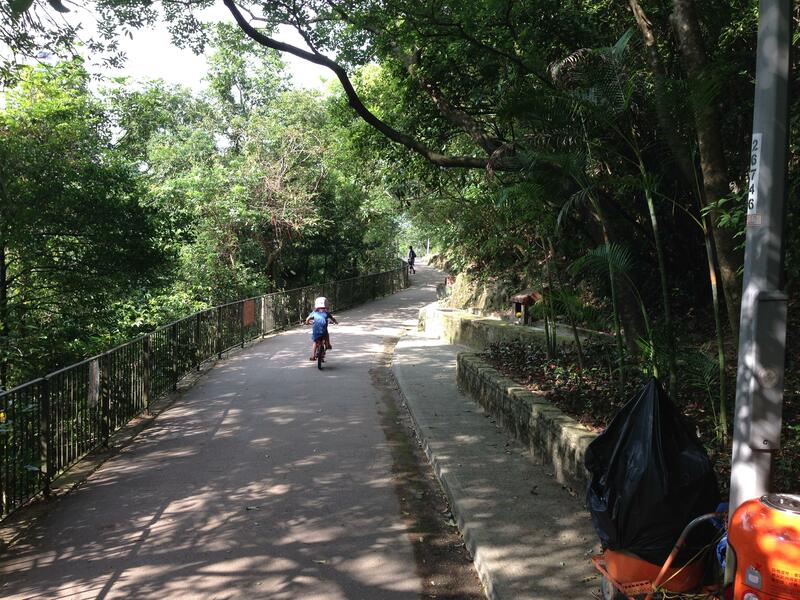 One pleasant aspect of the HK Trail is that it is quite wooded and shaded, and the altitude takes an edge off the heat. There are many ways to access the trail, and numerous other trails that connect to it, but the official Section 1 start is off the Peak Trail Loop at the intersection of Harlech Rd. and Hatton Rd. A great 7-mile loop is to start at the Peak Tower, and take Harlech Rd. about 0.7 miles to the start of the HK Trail, do Sections 1 & 2 of the Trail, and just the beginning of Section 3, to where it runs into Peel Rise at about the 6 mile mark. Take Peel Rise north, and then Peak Rd., back to the Tower, about 1.1 miles. This is a hilly and challenging run: nearly 2,000 feet of elevation gain over 7 miles, with the last 1.7 miles climbing 1,000 feet averaging 11.7% grade! 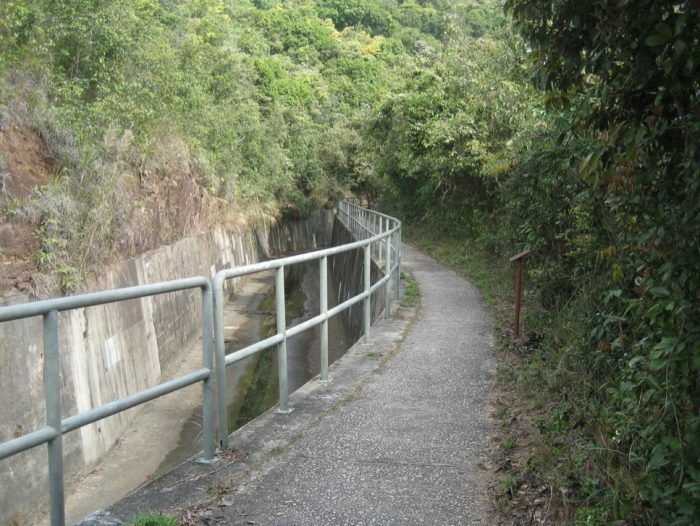 Nice add-on: from Hong Kong Trail Section 2, it’s possible to access Waterfall Bay Park. Yesterday, while I was at work, my cousin stole my iphone and tested to see if it can survive a thirty foot drop, just so she can be a youtube sensation. My apple ipad is now broken and she has 83 views. guys I’ve added you guys to my personal blogroll. Hi! I simply wish to give you a huge thumbs up for your great info you have here on this post. Hi, I want to subscribe for this webpage to obtain most up-to-date updates, therefore where can i do it please help.